What part does the photographic document play in historical recollection of war? In the book War and Photography, Caroline Brothers explains the legacy of the Spanish civil war in photography: ‘As the first war to be extensively photographed for mass consumption, it established the visual vocabulary of war photograph as a genre.’1 Despite that this genre has seen some changes since the Gulf war in the beginning of the 1990’s2, the public often expects a certain kind of aesthetic when looking at photographs of war. However, in front of The Atlas Group’s photographs of the Lebanese war, the spectator may feel a bit bewildered. 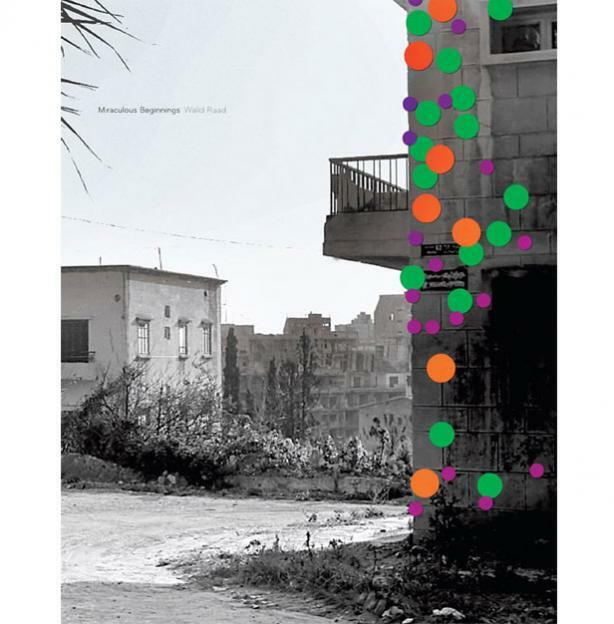 Founded in Beirut in 1999, this group aimed to produce an archive which would document the Lebanese’s war and recent history. Constituted of different types of files (photographs, films, videotapes, notebooks etc), The Atlas Group archive is organized depending on whom the files have been attributed to. By doing so, it matches Paul Ricoeur’s definition according to which ‘archives constitute a documentary stock of an institution that produces them, gathers them, and conserves them’3. However, under the name of ‘The Atlas Group archive’ instead of an institution is the artist Walid Ra’ad who worked on this project from 1989 to 2004. Born in Lebanon in 1967, Walid Ra’ad lived in East Beirut until 1983 when he left for the United States. He studied Photography and Middle East Studies there, which may explains his attempt to represent the Lebanese war mainly through the photographic medium. All the documents that compose The Atlas Group archive have been either produced or manipulated by him. For that reason, Walid Ra’ad belongs to the genre of ‘archival art’4, an art in which ‘artists seek to make historical information, often lost or displaced, physically present’5. This definition is particularly accurate in the case of our Lebanese-American artist because The Atlas Group archive’s project mainly deals with the Lebanese civil war. This conflict, which went on from 1975 to 1990, is described by Lebanese people as ‘the events’ to show that there was not only one war but ‘a series of battles localized in region, in time and in warring factions’6. The war’s structure being very intricate and involving many different communities, the state has had difficulties to handle the postwar period and no work of collective recollection of the events has been started. Thus, The Atlas Group archive’s aim is to represent an abstraction, this is to say an history that hasn’t been written yet. In order to do so, Walid Ra’ad utilizes various types of documents, especially photography on which we will focus in this essay. Photographs are traditionally considered as documents because they are supposed to be mechanical reproductions of reality. The term document hints that a photograph is an evidence, a warranty of authenticity, a proof that what we are looking is ‘what-has- been’7. However, we will see that this supposedly indexical function of photography is challenged by Walid Ra’ad in The Atlas Group archive. In this essay, we will study the part that the photographic document plays in the historical recollection of the Lebanese’s war. The Atlas Group archive being very wide, we will focus our attention on three series which show more or less direct consequences of the war. was directed by the United-States government and censorship was always effective.